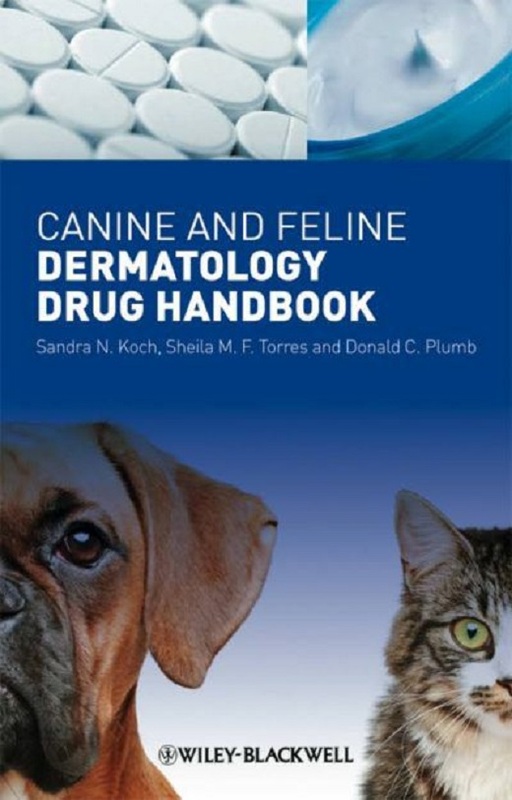 Canine and Feline Dermatology Drug Handbook PDF Book. The idea to write this book came from the need to have a concise yet complete and easy-to-use reference focusing on drugs especially used for dermatological conditions of dogs and cats. What makes this work different from other available drug references is the inclusion of dermatological drugs not listed in those other drug references, and the compilation of compounded medications for ear diseases. In addition, we are providing detailed drug information applicable to veterinary dermatology that includes indications and dosages for drugs used for many dermatological diseases, and specific details on adverse effects (e.g., ototoxicity). Lastly, this work contains the unique addition of a brief discussion of the common dermatological diseases of dogs and cats, with an associated list of drugs that can be considered for their treatment. The information contained in this book is derived from an extensive literature search that included important veterinary peer-reviewed journals and textbooks, and reliable online sources, in addition to the authors’ clinical experience. The book is divided into four sections encompassing systemic drugs, topical agents, allergen-specific immunotherapy, and common dermatological diseases with a list of drugs that can be used for their treatment. Both veterinary and human-labeled drugs applicable to veterinary dermatology are included. When available, manufacturers’ recommended indications and dosages for veterinary-labeled drugs are listed, but extra-label and anecdotal indications and dosages are also mentioned when appropriate. Drug interactions reported are mostly extrapolated from humans, as there is limited information available in dogs and cats, and we hope this will bring awareness to veterinarians when using drug combinations. We have included drugs available in the United States, Canada and the United Kingdom, and additionally some drugs not available in the United States that have been used by veterinarians in other countries.